Don’t be fooled by low introductory prices. Be rewarded as a loyal customer. Get all the features you expect at a price you can afford. Get a domain name that perfectly fits what your website is all about. Personal, professional email addresses for individuals and small businesses. Let our support team do the hard work for you! 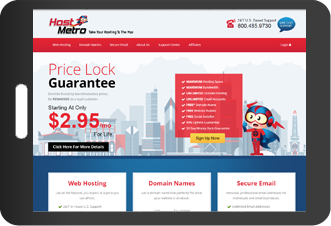 © HostMetro.com. All rights reserved. * See terms for complete details. All hosting accounts have an initial quota for disk space. 95% of our customers will never reach this quota. If you are currently using 90% or more of your disk space quota, you can contact our support team for an increase, which will be granted to you free of charge as long as you're within our terms of service. Our servers are optimized for website operation. Your account is not intended for storage space or file sharing. If you are using more than 15% or 2GB of your disk space for multimedia file storage, backup storage, or email storage, you will not receive an increase. Deleting or locally storing your media, emails, and backups will clear up a significant amount of space, and will help you comply with our terms. Our support team can give you advice on good ways to go about this, such as setting up POP or IMAP for your emails. 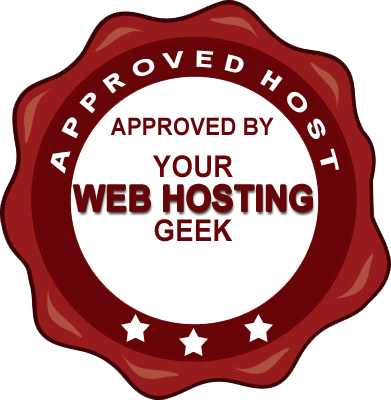 All hosting accounts have an initial quota for bandwidth. 95% of our customers will never reach this quota. If you are currently using 90% or more of your bandwidth quota, you can contact our support team for an increase, which will be granted to you free of charge as long as you're within our terms of service. If your site is exceeding bandwidth due to illegal or malicious activity, intentional or unintentional, we will not increase your bandwidth. If you are unaware of automated scripts or other malicious files using your bandwidth, our support team will help you to remove these malicious files at your request, and then increase your bandwidth, if it is still necessary. We offer a free domain name registration to our new clients, using the coupon code "freedomain". This coupon is worth $14.49, which will cover most .com, .org, and .net domains for one year. If the domain you want costs more than this, you must cover the difference. The "freedomain" coupon cannot be used in conjunction with other coupons. The "freedomain" coupon can only be redeemed within 30 days of account activation. The "freedomain" coupon is only valid for your first year of domain registration. Your domain renews each year, usually for the same amount that you initially paid. After the first year, you must pay for your domain renewal to keep your domain. We offer all our customers a 30 day money back guarantee. This is applicable to new accounts only and is not valid for account or service renewals. You must submit a cancellation request within 30 days of your account being created to receive a refund. If you were provided a free addon, certificate, or domain name during sign-up, the price of your free offer will be subtracted from the refund. If your account is suspended for any reason within the first 30 days of activation, this offer is void, even if you were unsuspended afterward.